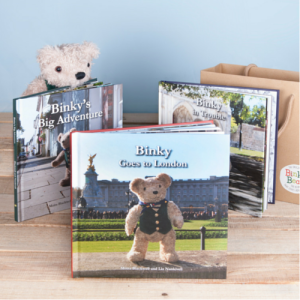 Buy a Binky Bear and take him on your own Binky Bear adventures. 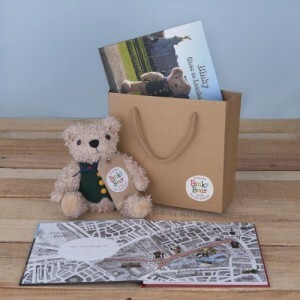 Children love to take their Binky Bear with them as they follow in Binky’s footsteps and experience the sights and sounds of our three Binky locations. 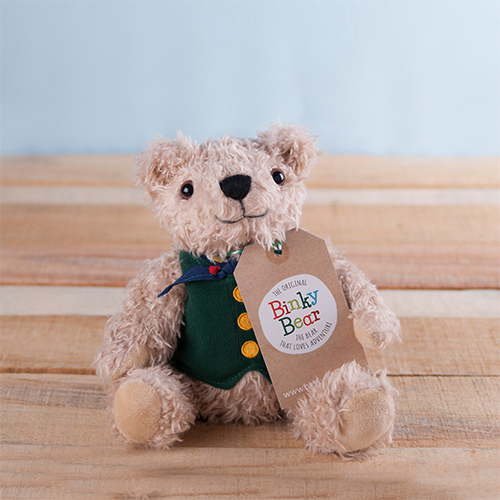 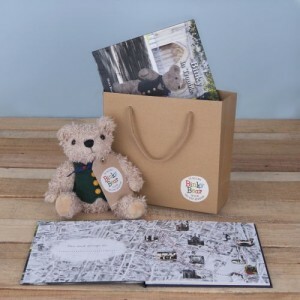 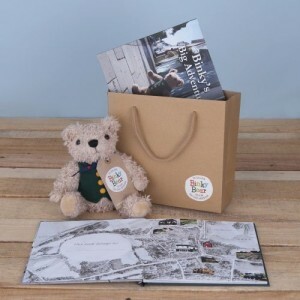 Each Binky Bear comes with his own cute luggage tag and a personal message from Binky saying “Hello I’m Binky and I am so excited about all the adventures we can go on together.” There is a space below for you to write your own special To and From message. These teddy bears are very cuddly and incredibly soft. They are fully jointed and have velvet paws and shiny eyes. 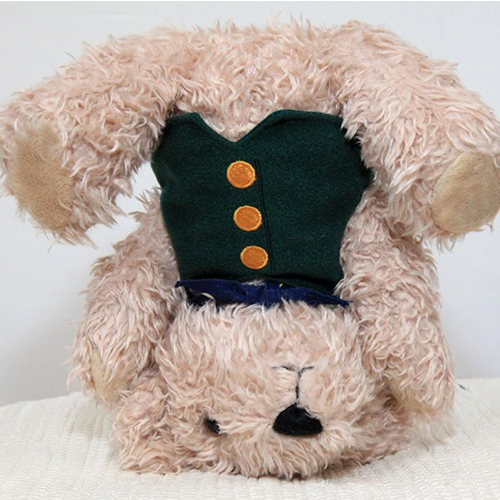 Binky Bears are dressed in Binky’s signature outfit and the waistcoat is removable. 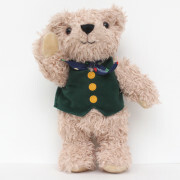 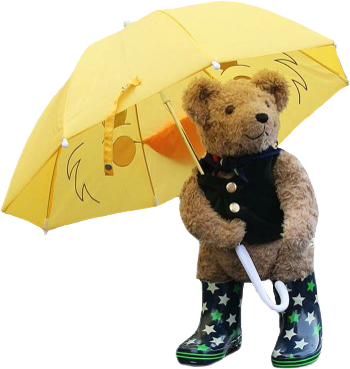 Binky Bears stand 22cm tall and are fully CE tested, ‘suitable from birth’. 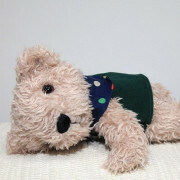 Binky Bears are designed and finished in the UK.